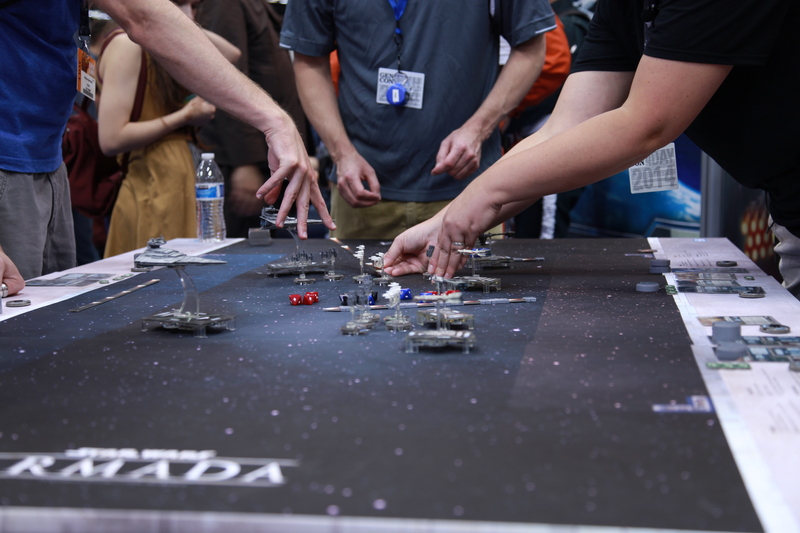 When Star Wars Armada was announced just a handful of days before Gen Con 2014, I knew I had to get my hands on it at the show. 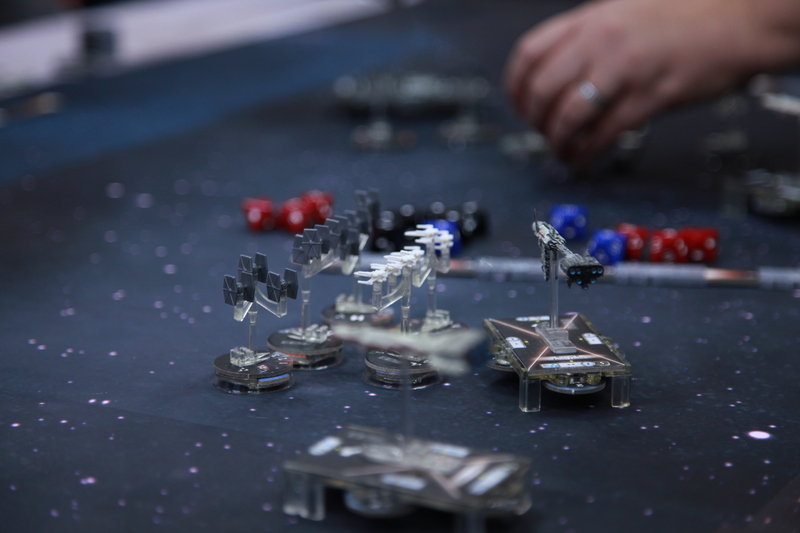 The prospect of pitting fleets of Star Destroyers, Frigates, and swarms of fighters against each other was too good to ignore - while X-Wing Miniatures is a thrilling dogfight game, my heart has always lain with larger scale tactical struggles. The heart of Armada lies with your capital ships, and in my time with it I used them to great effect. 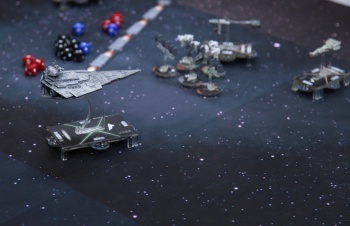 My fleet of two Vindicator-class Imperial Star Destroyers with accompanying TIE Fighters went up against a swarm of rebel ships: two Corellian Corvettes, two Nebulon-B Frigates, and several squadrons of x-wings. I opted for a bold strategy, bringing my two initially separated Star Destroyers together into a pincer that captured and crushed a Frigate and a Corvette. 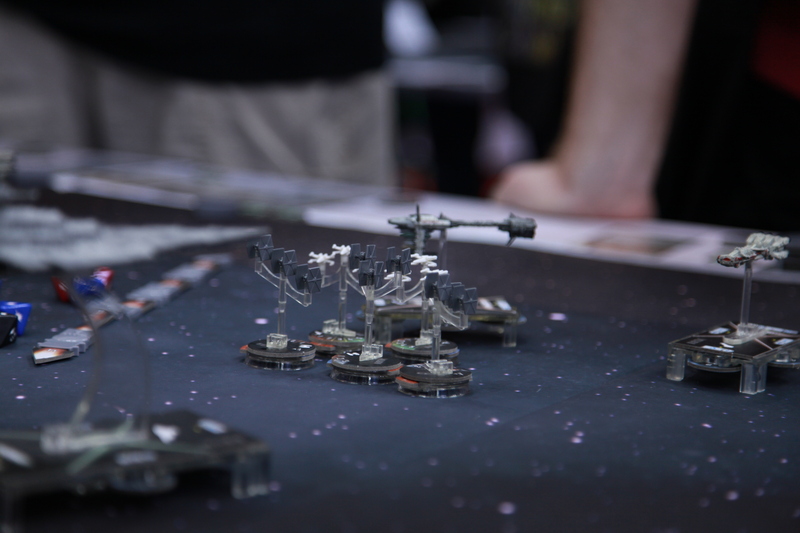 Rebel ships, however, are simply too fast. 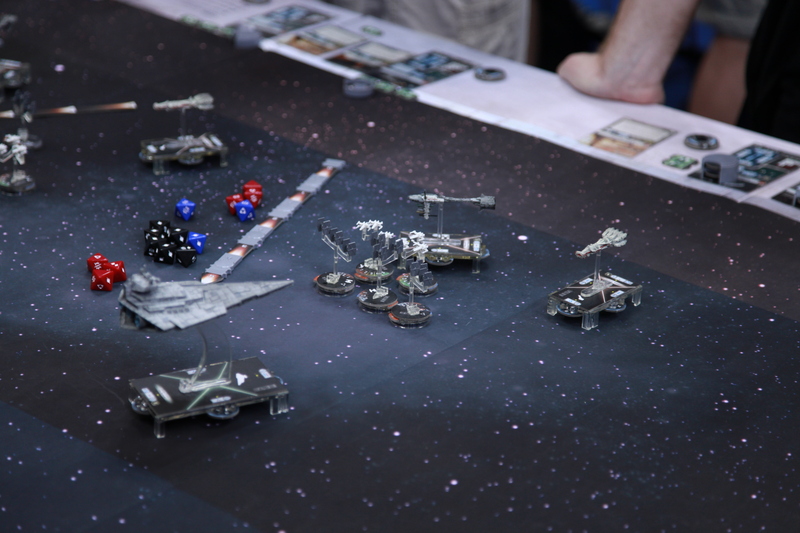 My fighter cover was insufficient to keep the rebels from getting at the rear shields of one of my Vindicators, blowing it out of space. 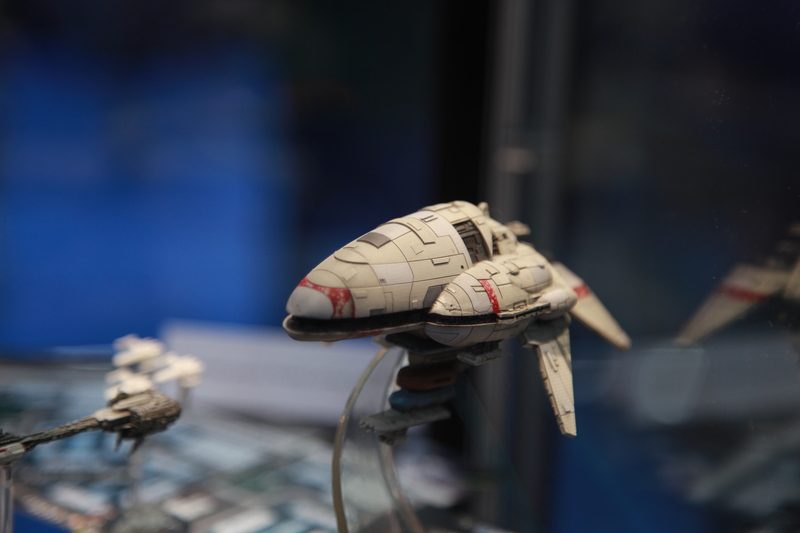 Fighters in Armada are a nimble and deadly weapon, capable of rapidly wrecking undefended ships. 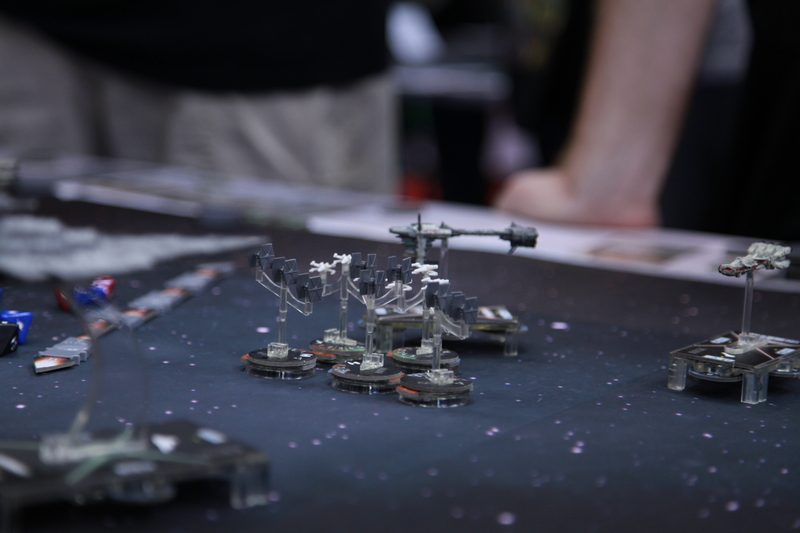 As the game progressed, I used the momentum of my charge to pursue and bring a rebel Frigate into two of my remaining Star Destroyer's firing arcs - showering it with a barrage of turbolasers and bringing it down. 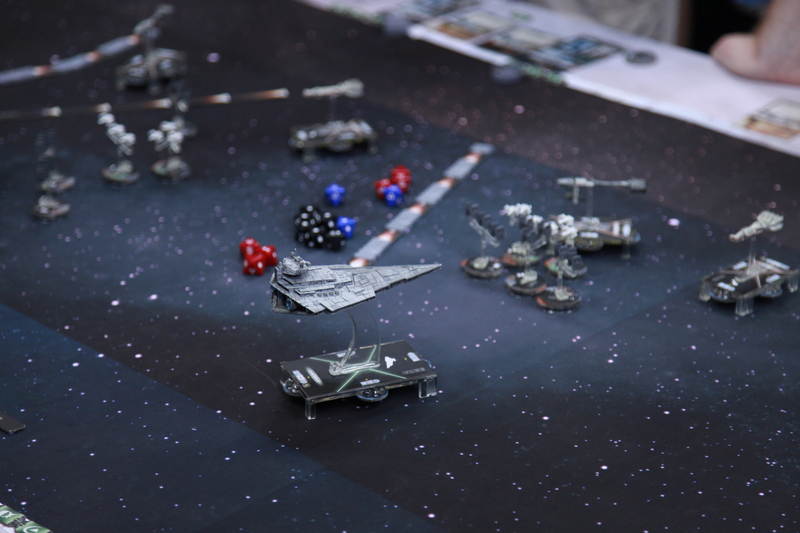 As my weakened TIE Fighters were picked off by the last Corvette and the X-Wings started to descend on the last Destroyer, I played out a bold gambit and stopped short, letting the Corvette overshoot me into my left firing arc while my fighters distracted it trying to "flee." 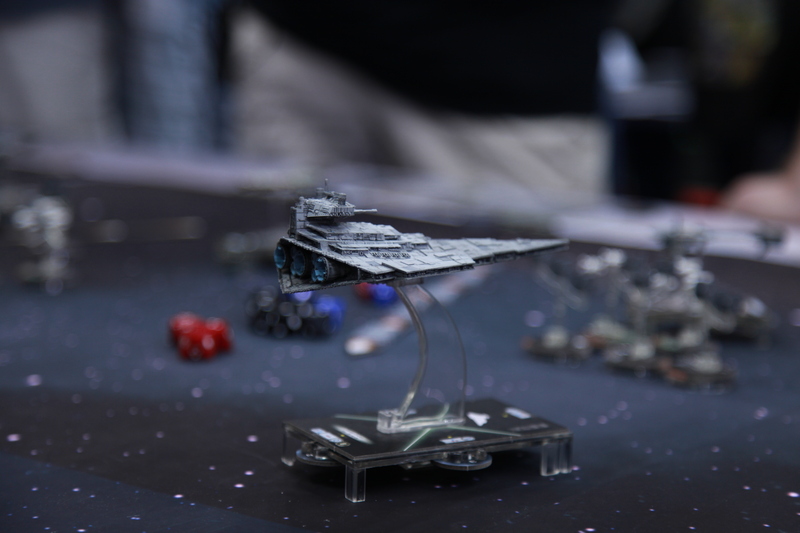 When the fighters turned against the Corvette and weakened its shields, the Star Destroyer stepped in and obliterated it. 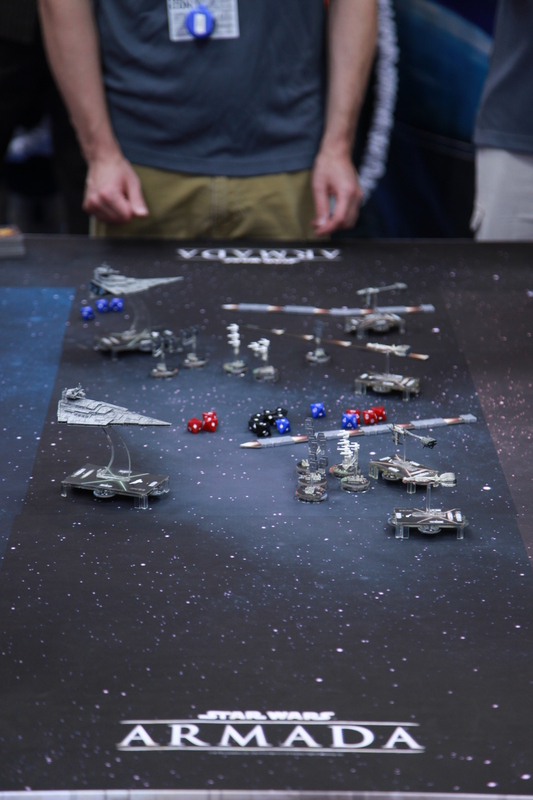 There's a lot to think about in Armada, and a pile of decision points to address. You have to manage your command stack, the list of upcoming commands for your ships. You have to make sure you're addressing your ships' firing arcs. You need to ensure that you're keeping your weakened shields away from enemies' firing arcs. 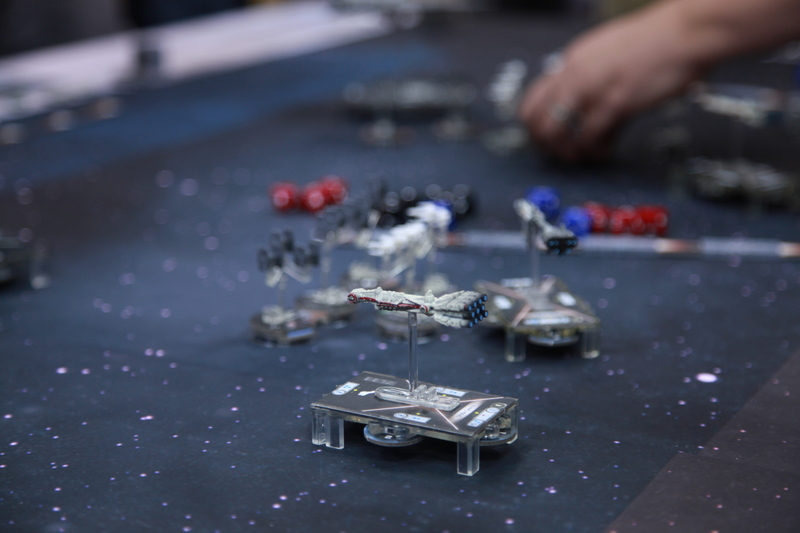 You need to do that for multiple ships - and you need to manage the movement of your fighter squadrons as well. 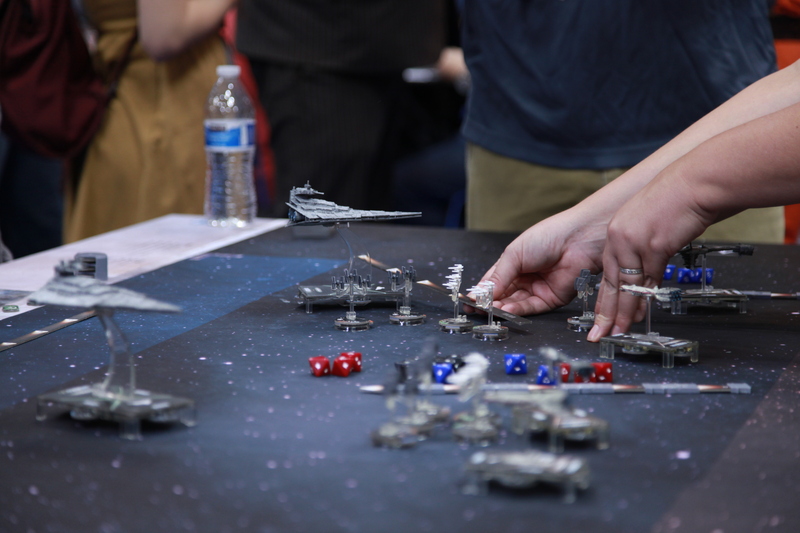 It's a much longer and deeper game than its cousin X-Wing, despite the similarities. The mechanics are fairly simple, you choose actions that come up in order over the next few turns - if you still want to do what you commanded, you get a full effect. If you do something else, you get a decreased effect that works against your next turn. 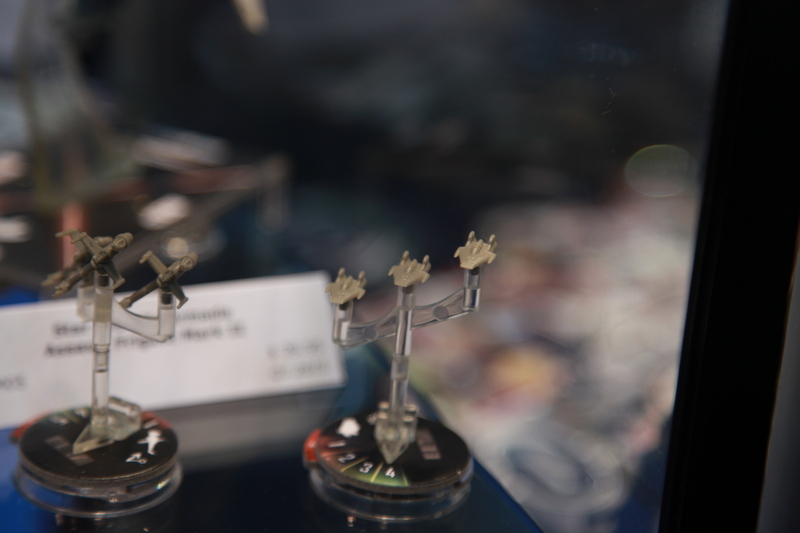 Ships have their own movement options as outlined on very convenient summary cards, with straightforward graphics saying how much you can manipulate the odd, morphable plastic movement template as you go. I'm not completely sold on the movement template, but I could see it growing on many players. The plastic's indisputable ugliness is a drawback, but the results are really pleasing on the table. 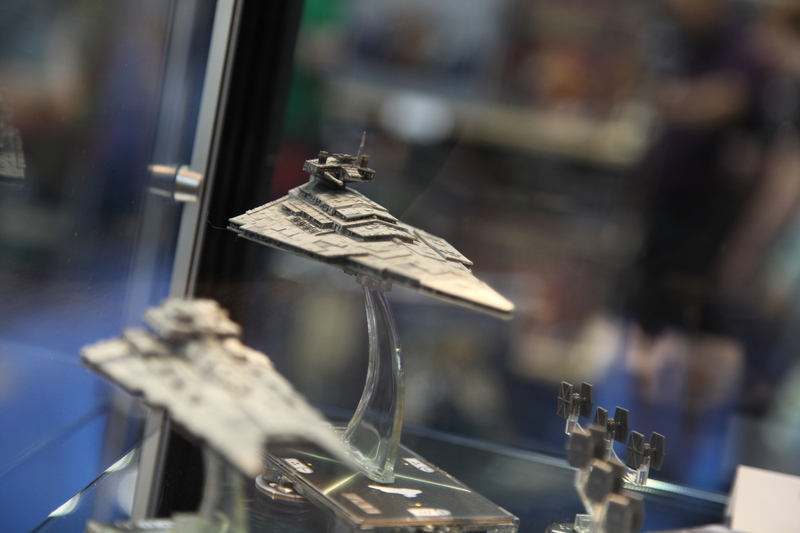 Fast ships feel fast, and slow ships feel as ponderous as they're depicted in Star Wars movies. In my short play I couldn't quite get a sense of the game's true tactical depth, but the dice rolls felt tense and vicious. Picking up the category of custom dice reserved for the nastiest weapons was always pleasing. 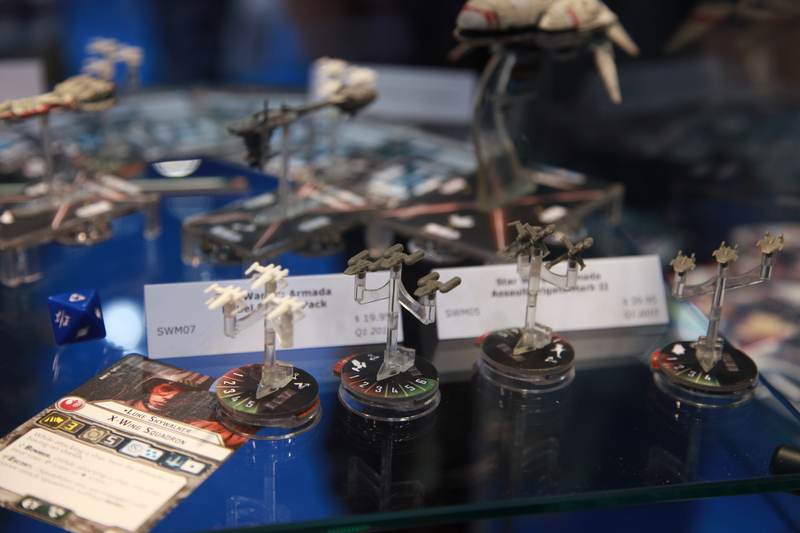 All the components are produced with the quality you'd expect from publisher Fantasy Flight Games, with the prepainted models putting other companies' efforts to shame. The price reflects that, though, and the sheer number of components in the starter box rivals many board games. However, I could see hours of fun with simply the base components. 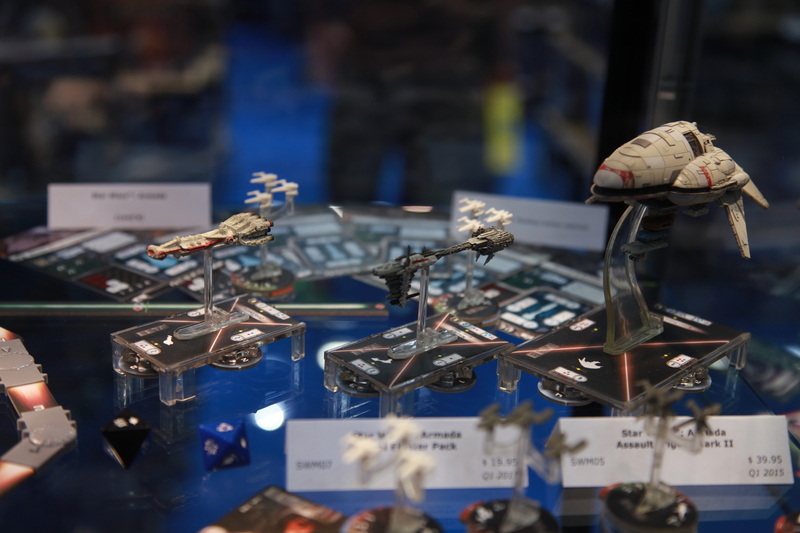 Fantasy Flight also announced the first wave of new ships for Armada at Gen Con, promising a slew of beautiful plastic to come. 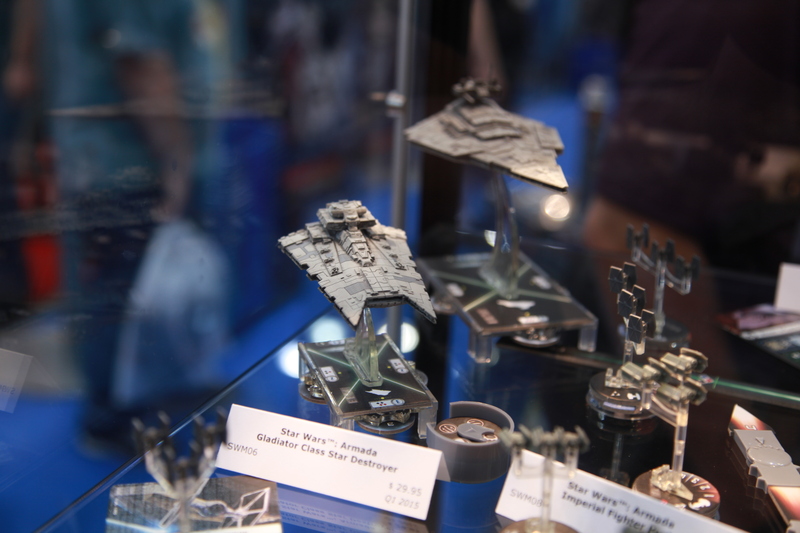 Among the announced ships were Gladiator-class Star Destroyers, rebel Assault Frigate Mk IIs, and fighter squadrons including B-Wings, A-Wings, Y-Wings, TIE Advanced, TIE Interceptors, and TIE Bombers. 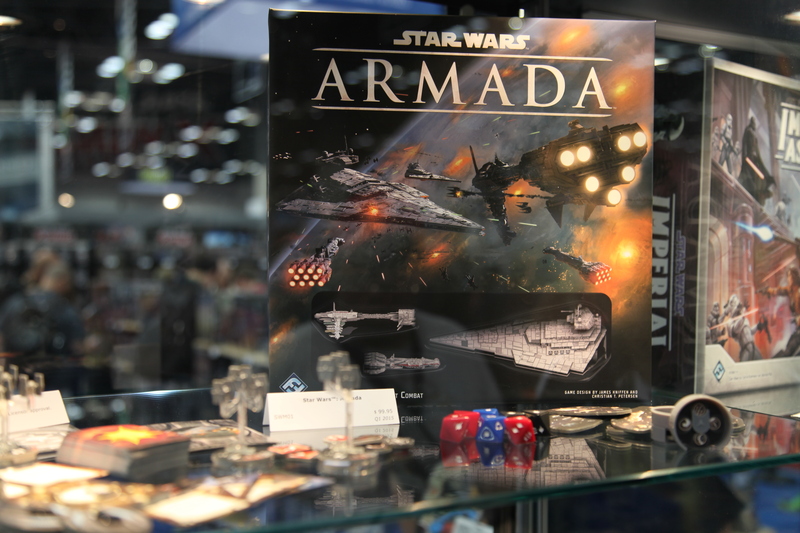 Star Wars: Armada's base set will release in early 2015, with the first wave shortly afterward. When I asked a Fantasy Flight rep whether they could just start directly tithing my paycheck, he said he'd look into it.